Spacetalk is a new label set to spin off from Leng as a collaboration between Simon Purnell, Paul Murphy and Psychemagik’s Danny McLewin, and acting as an extension of those “Magik Cyrkle / Sunrise / Sunset” compilations put together by Danny and Psychemagik partner Tom Coveney. 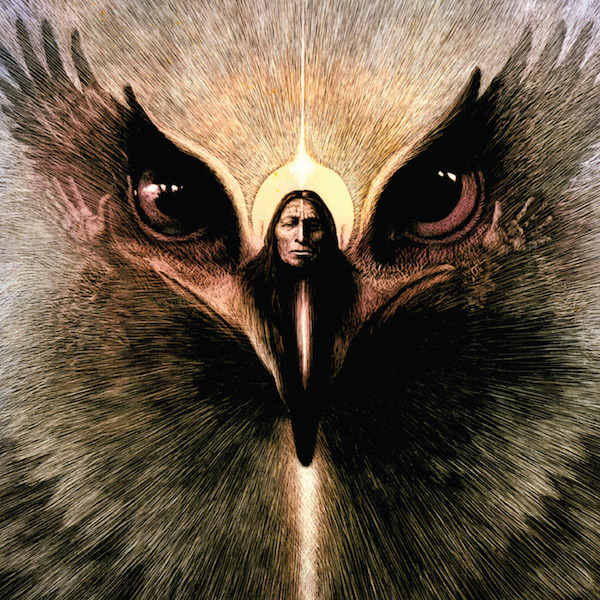 The first release is Morrison Kincannon’s “To See One Eagle Fly”, written, recorded and privately pressed by Norman Morrison and Terry Kincannon in 1978, in the midst of Watergate. If the truth be known, I`m not that big on Soft Rock (the genre of course, not the chaps). It`s a musical area that I know virtually nothing about. South London in the `70s bore scant resemblance to Laurel Canyon, and my old man`s tastes, by the time I could remember them, once his Stones LPs and hand-tailored suits had become a lost conceit of youth, luxuries of a life before marriage, children, graft, and bills, were confined to Charles Aznavour and a bit of S&G. As a kid, from my bed, I`d hear “She may be the face I can`t forget” and “I`d rather be a hammer than a nail” wind their melancholy through the dark and up the stairs (which might explain a few things). I do have favourites of course, cherry-picked in later years from the sets, mixes, and goodwill of folks like Harvey and Moonboots, tutored in its peccadillos and pleasures by the masters, and from that tutelage there are the odd one or two or fifty that I subsequently bought out of curiosity from remaindered bins in Croydon`s Beanos and Tokyo`s Recofan. The Little River Band`s “It`s A Long Way There”, Robin Trower`s “Somebody Calling”, Ned Doheny`s “Get It Up For Love”, Firefall`s “Mexico”, Terry Reid`s “Seed Of Memory”, all fall into the above categories and Morrison Kincannon`s laidback groove of organ and guitar interplay could slot right in alongside, while its Jazz violin summons to the party other hi-jacked personal favourites by Jean-Luc Ponty, “Mirage” and “Cosmic Messenger” (pinched from Moonboots and Harvey, respectively). You can pre-order here and keep an eye out for details on future releases which will include more from Morrison Kincannon, an ‘80s single by Avant Garde, and a compilation curated with Frenchman Jeremy Underground.